In our application we collect a lot of Clinical, operational, administrative and financial data of a Hospital, as various users work on the system. This data is used by our own BI tool (Lifetrenz Trends) to analyse and make intelligent insights about your Hospital's performance and present it in an easy to understand format to the top decision makers. Lifetrenz Hospital Management System is built on the Indian and International Standards compliant Lifetrenz EHR Platform. Due to this standards compliance and the design methodology of architecting the solution to be Patient-Centric and driven by Business and Clinical Processes, the solution captures all the necessary data required for Business and Clinical Analytics. The data captured is presented through graphical interface in an easy-to-use and interpret fashion as Dashboards. The Dashboards are available for Operational, Financial and Clinical Analytics. Lifetrenz recognizes the need to provide different set of data and Analytics for the different C-level executives in a Hospital.The Dashboards available in the system can be customized as per the Hospital's needs and presented in a user-friendly manner. Like all our other products, our BI platform, Trends, is also a continuously growing product. 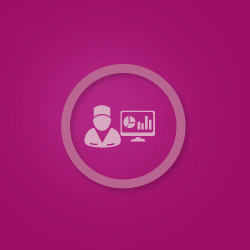 The Lifetrenz Trends� Financial Dashboard module provides an easy-to-use and interpret graphical interface to obtain the financial Performance indicators of the Hospital.